Changing environment, learning new language and new culture,being a wife and a mother, living far away from families and friends, I have come to share my views, thoughts, feelings, ideas on so many things that I cherish. 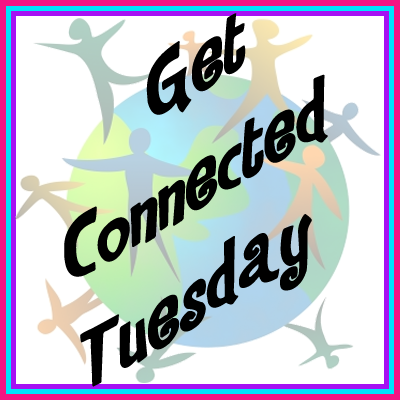 Welcome to Get Connected Tuesday Blog Hop. I'm very happy to have you here. A special welcome to all my first visitors. If you are already a part of this hop, I'm thanking you so much for your help in building Get Connected Tuesday Blog Hop and making it a success. Come and Get Connected and stay Connected. With this hop, you will increase your strength, followers, readers and connect to other bloggers in which ever way you like. This blog hop is for family friendly websites only. Feel free to grab the button if you want. Each week, I'll be featuring a new guest host. If you want to be featured, grab the button and send me a message and you might be my next pick. Get Connected and Stay Connected!!! 1.) Follow Reflexions the host on Google friends connect. 3.) Visit and read some great blogs and follow the ones you like. * It would be nice if you follow at least the two blogs that are linked up before you, that way, everybody will get followed. Thanks. *We are also connecting via Twitter and FaceBook. Use the second linky to link up your Twitter and Facebook Fan Page and you will also get some new followers and fans. Be sure to follow the Host and the Guest-Host. have a fantastic rest of the day! New follower...and thank you for the opportunity to connect with great people. I've grabbed your Blog HOp button and hope you have a very successful hop! all linked up again :) already following and have your button on my page!! Hi. :-) Thanks for the blog hop. I am a new follower. Erin Judd- new blogger, new mommy, big thoughts!! Hi! Thank you for hosting this - I'm very new at this and it's great to be able to participate in a blog hop - I'm finding some really great bloggers to add to my list. Enter your email address to subscribe to this blog — you'll receive new posts by email. I am an Expat Woman living with my Husband in a foreign land. We have two children who we call the UFOs (Unlimited Flying Opportunities). Our lives are filled with love, fun, inspirations that we get from each other and the wonderful friends around us. Welcome to Reflexions. Thank you for visiting my blog. On this blog, I'll be writing about my journey through motherhood, family life, the challenges of raising TCK's (Third Cultural Kids') and children with multi-lingual background, my life and experiences as an Expat Woman, Fashion, and anything that inspires me. Come and join me!! This blog thrives off your comments. I'm open for advice and ideas from all you expat women, mothers and mothers to be. Feel free to subscribe to this blog if you like it. I'll always try to up-date and I hope not to bore you. Inspirational Afro Hair Braids from Alicia Keys (Fashion Friday). Inspirational Afro Hair Styles (Fashion Friday). For GFC followers If the followers list below, for Google Friend Connect (GFC) doesn't show up, please re-fresh the page or click the "follow" button at the top(left).